Your ladder to the heavens or at least your treehouse. The Toy Company's Rope Ladder is sturdy and made for long lasting play. 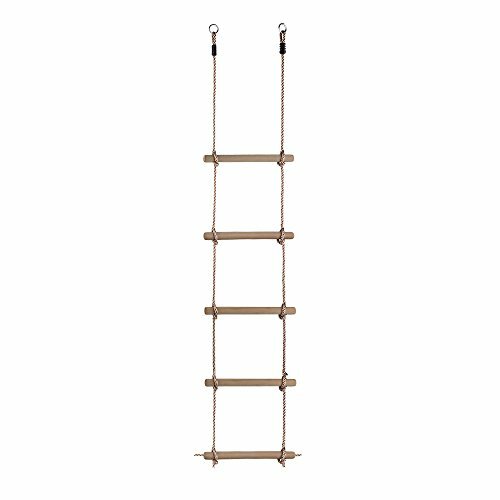 The rungs milled from beech wood are connected with heavy-duty nylon rope and will carry children up and down for years to come. 5 rungs measure 64 inch from the first rung to the last rung with plenty of extra rope to secure to branches.